The earth revolves around the Sun as a result of its curvature being brought about by the gravity of the Sun in space-time . Suppose if the sun is removed from its place in some way then how long will it take for the effect of absence of the Sun (or the Sun's gravity) on Earth? Will this be immediate or will there be some delay? The light of the sun reaches the earth in 8 minutes, it will take only 8 minutes for the darkness of the Sun to be dark on Earth, but how long will it take to be in the absence of gravitavayas? If we adhere to the principles of Neutan, then this effect will be immediate, but according to Einstein's relativity, it will not happen immediately because gravity travels in the form of wave. 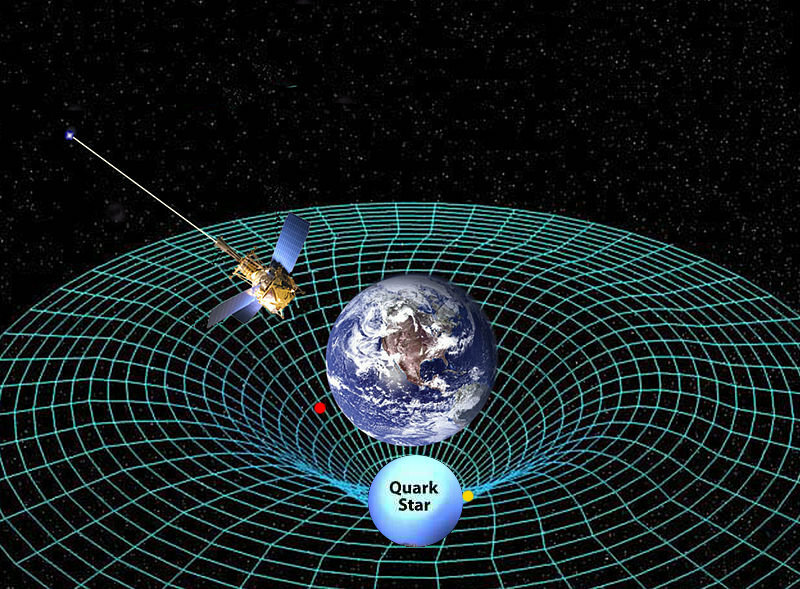 In this article we will discuss the samegravitational wave. We do not have any such way that we can know that what happened at the time of the birth of the universe approximately 13.8 billion years ago. But the scientists have announced a new find on Monday 17th March 2014 that gives strong support to the Big Bang theory. If this discovery is found to be correct by all investigations, then we will know how the universe came into being in less than a quarter of a second. "This discovery tells us how the universe was born. Human race whose modern science is only a few hundred years old, but it is a wonderful achievement, to understand an event that took birth in the year 50 years ago, which gave birth to the universe ". For the first time, scientists have found direct evidence of the existence of the proposed gravitational wave in Einstein's theory of general relativism. Gravitavian Taranga is the long-standing wave in space-time, which is the first shudder caused by the great explosion. The telescope located on the southern pole of the Earth, whose name is BICEP2 - Background Imaging of Cosmic Extragalactic Polarization 2, has proved to be the most important in this discovery. This telescope has played a major role in analyzing the polarization of light produced by the great explosion, resulting in the scientific discoveries important. 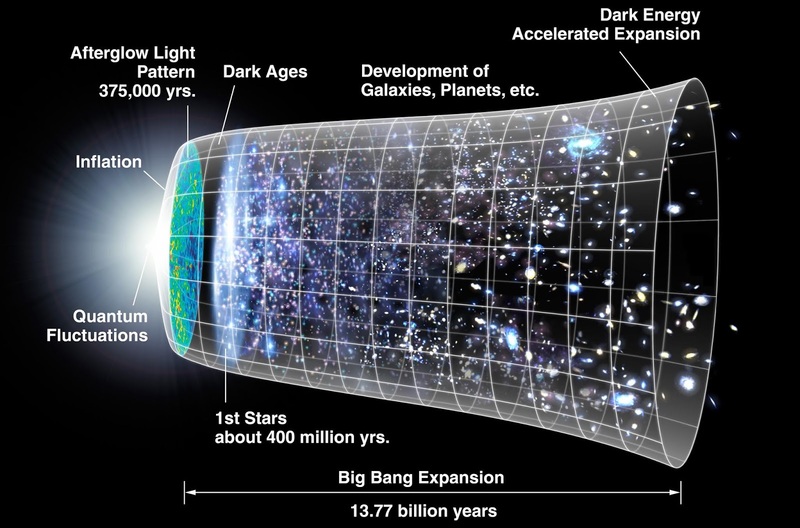 We know that the universe originated from a very condensed point today, from 13.8 billion years ago to a Big Bang . After the 10 -35- second (Planck Period) of this great explosion, the exponential growth of the universe has been increased by an infection. This period is of cosmic inflationIs called. After the end of this inflation, the substance of the universe was in a quark-gluvan-plasma condition in which all the particles continued to move. As the size of the universe began to grow, the temperature started decreasing. At a certain temperature, which is called biopsensis infection, glucans and quarks together make bayran (proton and neutron). During this transition, there was a difference in the number of particles and particles (matter and substance) due to some unknown reason. When the temperature decreases, the laws of physics and fundamental particles came into existence today. Later protons and neutrans together formed the nucleus of the deuterium and helium, this process was called the Big Bang nucleosynthesis.Says. As the universe went cold, the speed of matter decreased, and the energy of the substance turned into gravity and became more of the energy of radiation. After 300,000 years of its time, electrons and candor together make the atom (mostly hydrogen); In this process the radiation separates from the substance. This radiation has yet to be dispersed in cosmic microwave radiation as cosmic microwave radiation . The scientists believe that small-scale waves arise in the space-time structure, which is called quantum fluctuation. If you are able to see the time intervals very nicely, they will be able to see you. But such a microscope is not possible to see at this astral level. Such deviations were also present at the time of the birth of the universe, where the incidence of the great explosion had made huge; these huge deviations generated the gravitational wave. The first of these gravitational waves can still be seen in cosmic microwave background. These gravitational waves in simple words are the aftershock of the great blasts . BICEP2 has succeeded in seeing the direct evidence of these gravitational waves. Some other uses such as Caltech 's laboratory LIGO-Laser Interferometer are also attempting to verify the gravitational wave, but all of them are centered on the gravitational waves produced by Shyam Biwar. The gravitational waves that were discovered by BICEP2 would have expanded throughout the universe of that time. The peaks and troughs of these waves would have been the distance of billions of light years in the middle. We can still see the light rays emitted by the early universe as cosmic radiations and this radiation provides evidence about the history of the universe. Last year, the Planck Space Observatory of the European Space Institute created a detailed map of the temperature of 380,00 years after the birth of the universe, this map was based on these cosmic radiation. In the use of BICEP2, the attention of the scientists was on a specific polarization of cosmic radiation instead of temperature, they looked at the direction of the electric field of this radiation. Scientists were looking for a specific polarization of "B Modes" instead of cosmic radiation because this polarization shows a twist-like pattern in response to the gravitational wave. Harmonious patterns like B modes are possible only with gravitational waves and these findings have been discovered by BICEP2. According to the scientists, these gravitational waves are the obvious signature. This is the first successful experiment of such experiments. It is advisable to doubt it still until it is repeated by the experiment. If the result of this experiment is repeated in the next two to three years, then it will be considered as trustworthy. 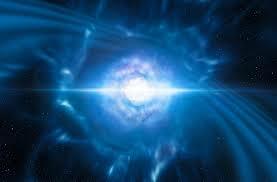 Gravitavian waves are the ones that bear energy in the whole world. Their existence was predicted by Albert Einstein in 1916 in the theory of simple relativism. So far these waves were the circumstantial evidence of the presence but they could not be directly certified. The main reason behind this was that these waves are smaller than millions of times by any atom. This is something like this that you are trying to see the wave rising from the many kilometers away to the surface of a lake. Most important is the discovery of the fundamental gravitational waves generated from the Big Bang, because they will provide us information related to the creation of the universe. In 1916, Albert Einstein developed a concept to express gravitational force to mathematical form. He gave this concept the name of the theory of simple relativism. 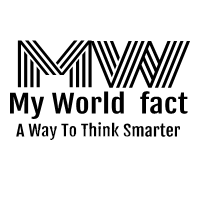 The time interval in this theory was represented simultaneously by the same coordinate method, whereas its earlier period and space were considered separate. According to this, the interval is like a huge sheet and the substance produces a zigzag from its mass. This jhol itself produces gravitational force. The gravitational waves are the lamps created in this sheet (interval). What is the significance of this search? This discovery has two important aspects. First of all, it will open new areas of study of the universe, so that we can understand the origin of the wave and the effects on the various processes of the universe. 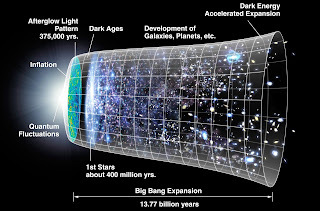 The second is confirmed by Einstein's theory of Big Bang and cosmic reflection. How is it possible to confirm the existence of gravitational wave? The telescope BICEP2 located on the southern pole is in search of gravitational waves, this telescope is investigating a sophisticated properties of cosmic radiation. The cosmic radiation was born from the Great Blast, it was discovered in 1964 by a radio telescope accidentally. This cosmic radiation was called the echo of the birth of the universe. BICEP2 has measured the refined properties of this cosmic radiation i.e. the polarisation generated and its value has been estimated according to estimates. This type of pattern on cosmic radiation is possible only by gravitational waves and it is possible only if it has been amplified by cosmic inflation. He called it "the day without yesterday" because it was the moment when the time and space was born. But not all scientists agreed because this theory did not confirm their observation. Substances in the Universe are distributed in such uniform form that the scientists did not believe that such a distribution is possible from the catastrophic event like the Great Blast. In the 1970s, scientists included the cosmic inflation in the theory of great anomalies which happened after the trillions of a second of a major explosion. But it was extremely difficult to prove it. In such a way, the spleen can amplify the fundamental gravitational waves of the time of the great explosion in such a way that they can be measured in the present. If this fundamental gravitational wave is discovered in the present then it would mean that cosmic reflection has occurred. what next ? Is the work of the universe scientific? No, the work has started now. Einstein knew that matching ordinary relativism does not match quantum physics. 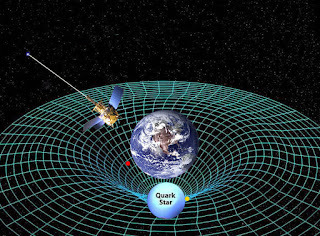 Simplicity Relativity where on the basis of gravity and all the universe interpretation, quantum physics explains the other electromagnetic force, weak and strong nuclei forces at the level of very subtle particles. The scale of both of them is different, at a large level, the other acts on the subtle level. After nearly one-year efforts, the integration of both the principles has not been possible. But the molecular gravitational waves have been discovered, these waves have arisen when gravitational and universal quantum physics were working on the same micro scale. The analysis and study of these gravitational waves can probably lead us to a theory of everything.